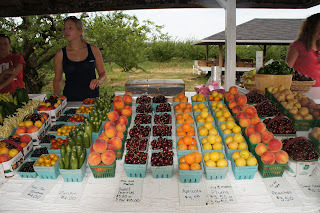 Upper End Travel: Niagara Peaches - Heaven in your Hand! I've had imported peaches. Nothing special. 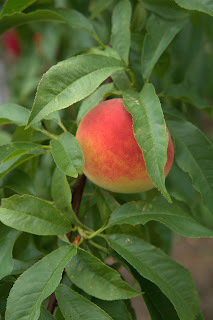 The Georgia peach is talked about a lot. It's an okay peach. But nothing beats a Niagara peach. Nowhere else can you get a peach that is firm yet tender, sweet but just tart enough, with intense flavour notes of almonds, florals and citrus. A just picked Niagara peach, at is ripest best, is one of life's pleasures worth savouring. 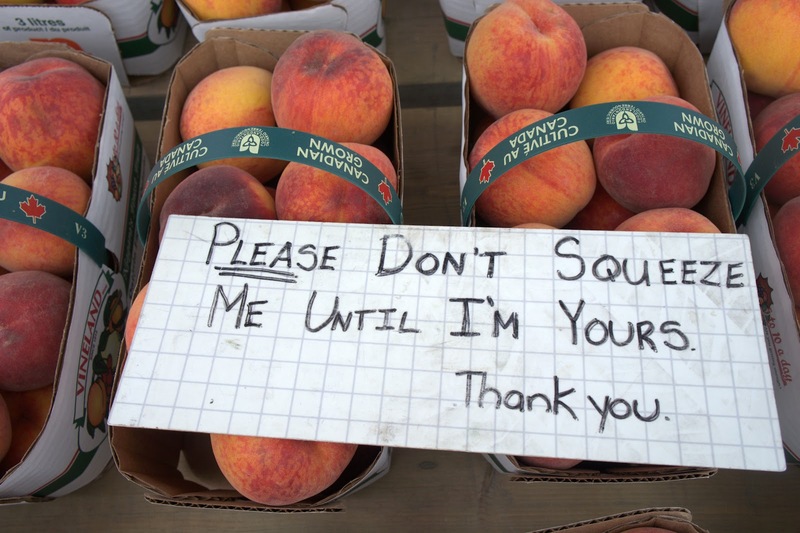 And right now, the first peaches of the season are ready so it's time to plan a road trip down the Niagara Peninsula to load up on these lovelies. 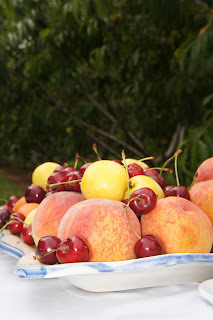 The early peaches are clingstone, which means they are a bit harder to slice, but the flavour is gorgeous. Eat them in your hand, make a peach pie ( my personal favourite), bake up a peach cobbler, whirl them into a smoothie or slice them over vanilla ice cream. Best dessert ever. And if, by some slim chance, you have some left over, they can be preserved in a simple syrup to be enjoyed on a dark winter's day, or made into jam. And according to Maureen MacSween of Quiet Acres in Niagara on the Lake, this is a vintage season for peaches. 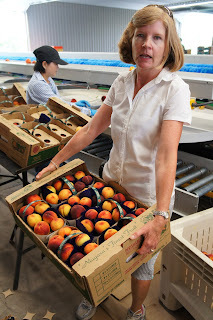 "The hot weather has been great for the peaches. The high heat units boost the sugar and flavour and since we irrigate our orchards, the peaches have developed superbly this season.The heat not only boost the flavour and size of the peaches, it gives them nice rosy red cheeks. So they look good too." If you are looking for a place to buy peaches, as well as the other fruits and vegetables that are in season right now, head for the Quiet Acres fruit and vegetable stand on Lakeshore Road in NOTL. 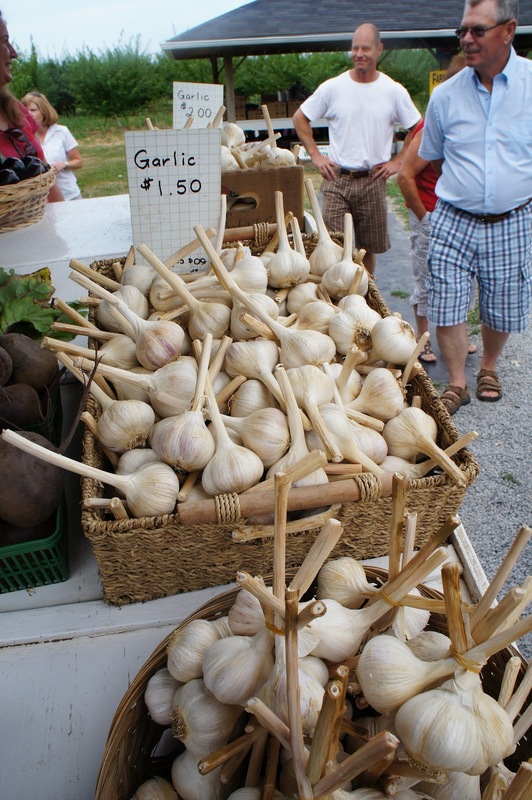 Plums,cherries, local garlic, zucchini, corn, apricots, fresh dug new potatoes - and many other beautiful fresh local produce is available here. 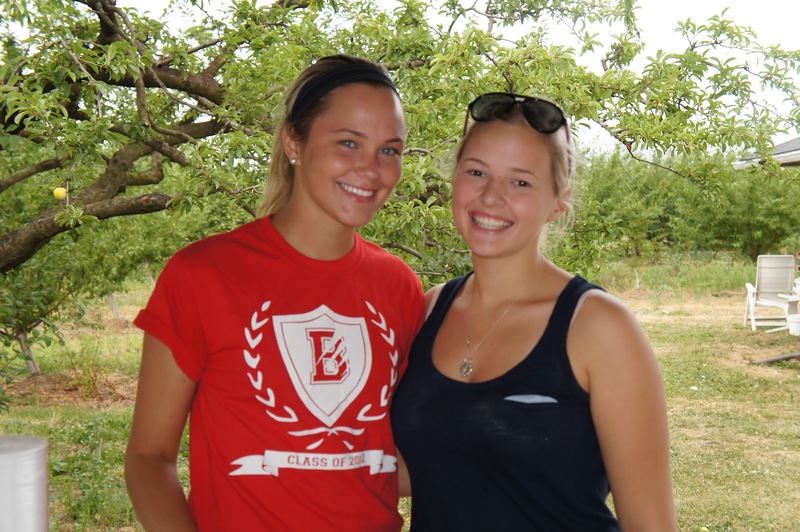 The staff are friendly and helpful - and pretty too! It's a perfect excuse for a drive to Niagara. Quiet Acres is easy to find - here's a map to help.